Classic Hooded Sweatshirt with Elmira College Dad Print. Comes in: Grey and Purple. Grey: 52% Polyester/48% Cotton. Purple: 50% Cotton/ 50% Polyester. Russell. 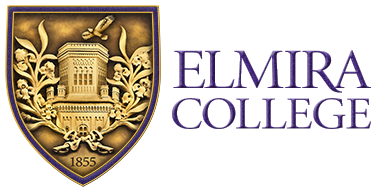 Purple Keychain with Elmira College seal and Mom engraved below. LXG. Also available with Aunt, Uncle, Grandpa, and Grandma. Classic Crew-neck Sweatshirt with Elmira College Mom Print. Comes in Purple and Grey. Purple: 50% Cotton/ 50% Polyester. Grey: 52% Polyester/ 48% Cotton. Russell. Classic Hooded Sweatshirt with Elmira College Mom Print. Grey with Purple and White Lettering. 52% Polyester/48% Cotton. Russell. Classic Purple Hooded Sweatshirt with Gold and White Elmira College Mom Print. 50% Cotton/ 50% Polyester. Russell. Classic T-shirt with Elmira College Dad Print. Comes in Purple with Gold/White Lettering and Grey with Purple/White Lettering. Purple: 100% Cotton. Grey:n 53%Polyester/47% Cotton. Russell. Classic T-shirt with Elmira College Mom Print. Comes in Purple with Gold/White Lettering and Grey with Purple/White Lettering. Purple: 100% Cotton. Grey: 53%Polyester/47% Cotton. Russell.